Ruthless, tough as nails, punishing, gruelling — also, poetic, beautiful, visceral, and cathartic — are words that you’ll probably see describing Sekiro: Shadows Die Twice the most. It’s a game that’s infamously kicking Soulsborne veterans’ asses while also collecting universally high praise from everyone who’s made it past the nearly insurmountable steep initial learning curve. While making that crucial step is a solitary journey, I hope that this dive into Sekiro’s design can bring you some comfort in those inevitable long hours of swearing at the TV as General Yamauchi destroys you yet again. In hindsight, the writing was definitely on the wall. Hidetaka Miyazaki, the director of Demon’s/Dark Souls, Bloodborne and the King’s Field games before that, has had a penchant for the dramatic, high-stakes gameplay of parrying and countering. In Dark Souls, for instance, not only is parrying one of the most spectacular techniques a player can master, using it also makes the final boss fight laughably easy. Rather few people took the time to learn it, though, instead building their characters to suit a less risky tactic of waiting for an opening to get in a hit or two. To give parrying more focus in his next game, Bloodborne, Miyazaki handed the players an attack-interrupting firearm instead of a shield. Still, just as Dark Souls had the slow, heavy Zweihander, Bloodborne provided its players with Ludwig’s Holy Blade, an enormous sword that countered most enemies with brute force alone. Online cooperation somewhat undermined the game’s core ideas as well, enabling players to cruise past the furious onslaught of the first unavoidable boss, Father Gascoigne, without ever learning to parry. In Sekiro, you either learn to play the game how Miyazaki wants you to play it, or you die trying. With no way to build your character into a sturdy warrior or summon other players to help you get through the game’s many challenges, you’ll be banging your head against the wall for hours until you’re actually competent in the game’s vocabulary. The good news, if you can call it that, is that Sekiro has been specifically hand-crafted as this kind of experience. In Sekiro you attack and deflect (this game’s name for a parry) to drain the enemy’s posture (which kind of substitutes stamina here), at which point they’re off-balance and you can finish them off with a Deathblow. Since there’s no need to balance various builds or tune the combat system to PvP, the timing of deflect is quite generous and, more importantly, a missed deflect seamlessly turns into a guard. If this sounds easy, that’s probably cause I’ve yet to mention that enemies also deflect and block a whole lot, have unblockable attacks that require specific actions to counter, and your health bar is so small you need a magnifying glass to see it. At first it can be difficult to fathom that the challenges you’ll probably struggle with the most aren’t even real bosses. In Sekiro there are dangerous, unique enemies placed at set points in the game world just as hostile Hunters were in Bloodborne, that to new players are ruthlessly difficult and may take hours to beat. The aforementioned General Yamauchi, for instance, is a particularly frustrating early-game opponent, as you encounter him right after beating another powerful foe and — in what seems like Miyazaki’s cruel joke — always need to eliminate his posse before you attempt the duel again. You see, in Sekiro, From Software is doing what they always have: creating challenges that are skill tests as well as tutorials. Each boss, each set of enemies is a gateway to further parts of the game — ones where you have no business being if you can’t deal with the challenge at hand. In theory, that’s true of all well-designed games, but I’ve never seen it as transparent nor enforced so strongly as in Sekiro. It’s a game of hard counters, where if you learn and practice the proper course of action, you win all but automatically. If you don’t? Well, most mini-bosses kill you in two hits; try again until you get it perfectly right. That’s suprisingly rigid design for an action game. All enemy moves are telegraphed; to every action there’s a specific counter that you need to perform — the combat is full of determinist design elements. See the opponent ready for a horizontal slash? Jump over it and kick them in the head. Long combo? Deflect as many hits as you can. An aerial attack? Throw a shuriken. If you’re having trouble with any particular pattern you can even practice reacting to it against a living training dummy, fighting game-style. 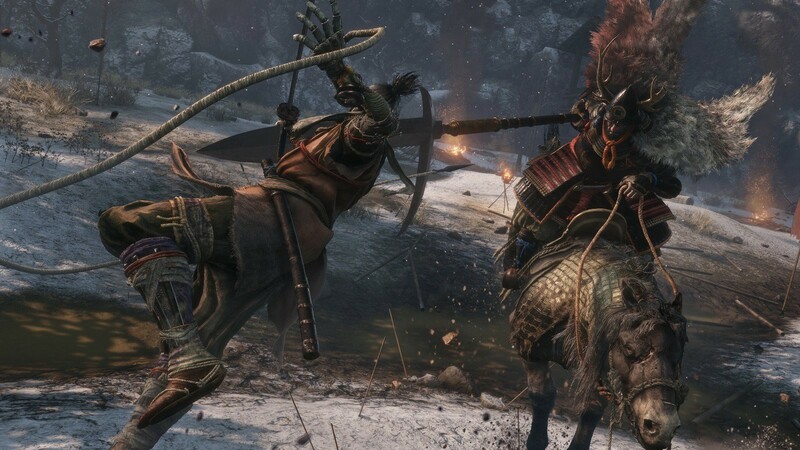 Bosses in Sekiro are either an amalgamation of every enemy type you’ve fought before them or lessons for future use — the horseback warrior from the game’s trailers, for instance, is designed to teach you to stand your ground and realize deflection is also your best attack, while the agile Shinobi, Lady Butterfly, serves to show you the value of side-dodge counter. Your inevitable reunion with Genichiro Ashina, the standard Soulsborne psyche-out boss that you’re not supposed to win against at the game’s outset, is an epic battle that also feels like a prog rock Guitar Hero song. He mixes all the tricks you’ve learned to counter until now and, if you react to each note perfectly, the battle even has a certain rhythm noticeable in the ringing song of steel against steel. When you’re at the point of absent-minded, thorough resignation during the beginning hours of Sekiro, remember this: all that frustration serves a purpose. Through mechanics and level design Miyazaki is going to hammer you into the shape you need to be in to enjoy his game, no matter how long it takes. Learning to properly react is just part of the skillset you need to survive in the world of Sekiro. Again, Miyazaki doesn’t want the players in this game to be passive and reactive; balance is required. While your defensive tools suffice to win against the early enemies, if all you do is wait for them to act you’ll give them time to recover their posture. On the other hand, if you attack recklessly, you’re bound to get punished and killed. Like real-life martial artists, you need to be flexible to succeed: fight defensively when the enemy lashes out with abandon, but then don’t let them recover their strength when they fall back. The aforementioned battle against Ashina requires precisely that kind of flow. Combat in Sekiro has the same cathartic and therapeutic influence that sparring with an evenly-matched opponent in Street Fighter IV has on its players — the intuitive bursts of aggression can win the fight, but only when they’re pre-planned and controlled. A wealth of symbols present in the form of characters and lore in Sekiro reinforces that concept. The one-armed Sculptor, trapped in a cycle of repetition as he tries to carve the perfect statue of Buddha, confesses that each one that he creates is flawed, since you can tell his hand was guided by wrath as he made it. The countless little figures that surround him are a perfect metaphor for the player’s own failed attempts at overcoming the game’s challenges with violence and aggression. The healer Emma, who upgrades your healing flasks, on the other hand, is burdened with guilt that stems from passiveness and feels powerless because of it, only able to assist from the sidelines. To persevere against the enemies in Sekiro you need to be like water, as the esoteric scrolls enabling the player to learn the ways of Ashina fighting school indicate: able to fluidly adapt to rapidly changing situations in combat. How can we strive to achieve such a balanced, zen-like state? Well, Hanbei the Undying, who’s essentially an immortal that we train with by killing him time and time again, tells us in nearly those words, that being viciously murdered over and over is not so bad, as long as there’s a lesson to be drawn from the experience. In an interesting inversion of the motifs from Dark Souls, instead of fueling the fire that was long destined to go out, the protagonist is an agent of order in a world consumed by chaos and flames. Instead of at bonfires, we meditate at Sculptor’s Idols that burn with cold, blue sparks. As I haven’t completed the storyline yet, I can only go out on a limb and hope that the plot will allow the hero and the world around him to reach a point of balance, where neither chaos nor order will completely smother the other. The game’s mechanics demand us to assume an analogous approach in its combat, the game’s characters impart similar wisdom on us, it would make a lot of sense for the story to make this point as well. It would mean that with Sekiro, then, Miyazaki is teaching us to tread the thin line between letting our wrath consume us and being too stoic to ever make a difference. 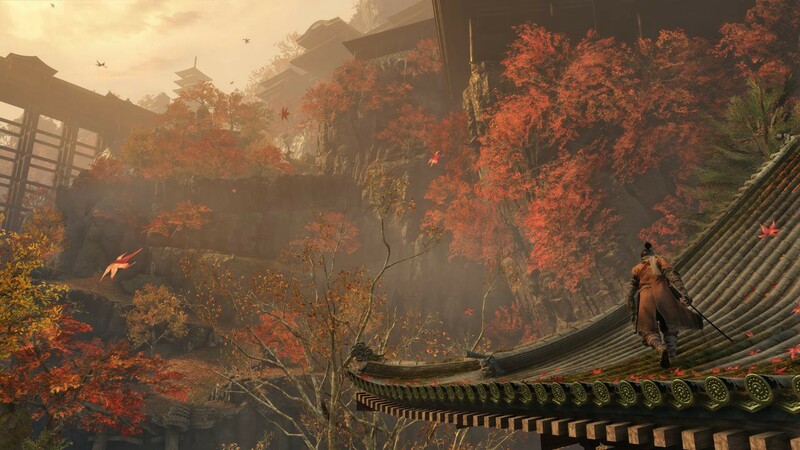 Whether it’s an expression of the game’s combat system reflecting the philosophy of the martial arts it was based on, or it really turns out to be the overarching theme of the story, Sekiro forces the players to find the zen-like balance — the place Freud called ego — and assists them in it. After all, the game’s combat is essentially about maintaining your own posture — both literal and metaphorical — while draining the opponent’s. 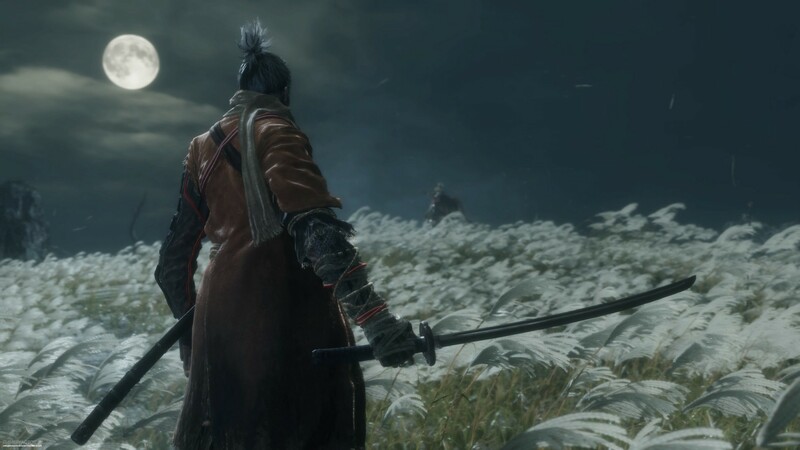 If you find that in the long run Sekiro has a calming effect on you as you progress, know that is is by design. The question of whether or not Hidetaka Miyazaki is an entertainer or an artist is becoming less important; it’s fading away as each minute spent in Sekiro passes. This is the latest triple-A title to join the great pantheon of games that are art.